Argentina is the world’s leading lemon producer and industrialist and the second-largest exporter of this fruit. More than 70% of the industry’s production is destined for the elaboration of concentrated juice, dehydrated peels, and essential oil; the remaining 30% is marketed as fresh fruit. The Tucumán province, for its climate and soil properties, has positioned itself as the citrus area par excellence, contributing over 70% of lemons national production (Federcitrus, 2016). 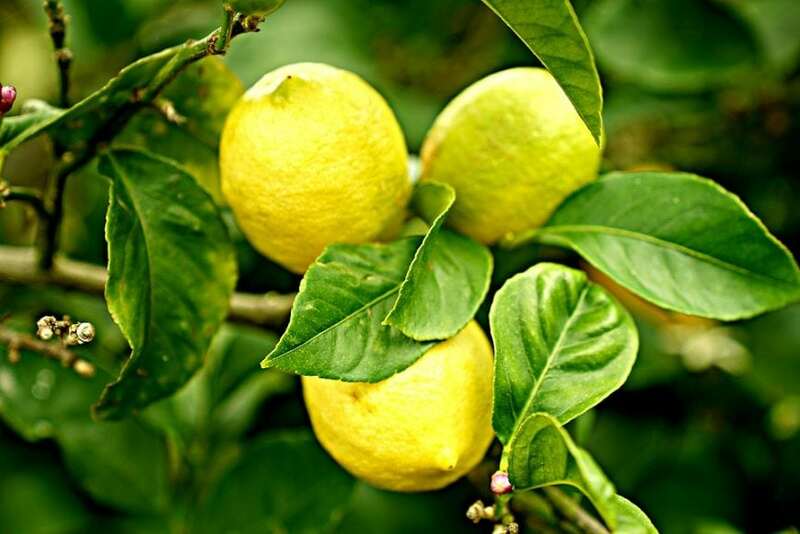 After harvest, lemons become susceptible to the attack of saprophytic pathogens or parasites, mainly of fungi origin, due to their high content of water and nutrients, and because they have lost most of the intrinsic resistance that protects them during their development in the tree. Economic losses caused by such diseases currently represent one of the main problems of global fruit-horticulture. 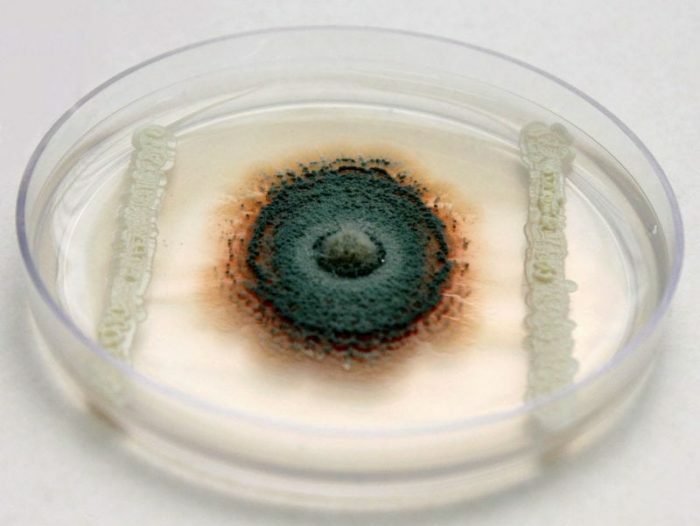 Among them, the main diseases are the so-called “green mold” and “blue mold,” caused by Penicillium digitatum and Penicillium italicum, respectively (Pitt & Hocking, 2009). A lemon attacked by these fungi will turn a green or blue color, depending on the rot involved (Fig. 1). These fungi are wound pathogens, meaning that neither can attack the fruit if it has no wounds on its surface that allow the fungi to enter and infect it, These wound pathogens the cause rapid deterioration of fruit organoleptic characteristics (Tuset, 1987). There are also other post-harvest diseases with a lower incidence, such as those caused by Geotrichum candidum, Diplodia natalensis, Phomopsis citri, and Phytophthora citrophthora. It is of great importance to control the development of these decays, and the use of chemical fungicides has been the best option due to their low cost, easy application, and great effectiveness. Thiabendazole and imazalil are among the main authorized fungicides and they are widely used in citrus packinghouses. However, there are some drawbacks related to the indiscriminate use of these products since they can generate the appearance of fungi resistance (Sánchez-Torres & Tuset, 2011). In addition, the levels of acceptable residual concentrations are increasingly restricted, which generates commercial barriers that are increasing. Besides that, and more important, are the effects of these chemicals on the environment and human health. It has been reported that fungicides generate environmental pollution due to their long periods of degradation, and they have a high toxicity and carcinogenic effects (Palou et al., 2008; Tripathi & Dubey, 2004). The increasing need for methods with low environmental impacts and minimal risks to human health demands the development of novel alternative solutions. Physical methods, such as heat treatment or radiation, and chemical methods using natural materials have been evaluated, but so far none proved to be effective enough to control postharvest diseases by themselves. Among the most promising tools with large potential in the control of these diseases are the strategies of biological control that are based on the use of beneficial microorganisms as natural weapons against pathogens (Wilson & Wisniewski, 1989). In recent years the use of yeasts, fungi, and bacteria as biological controllers has been a promising alternative for the control of post-harvest diseases. Particularly, yeasts have certain advantages over other microorganisms: can grow rapidly in simple culture media and consequently the can be produced in bulk, they do not produce spores or allergenic toxins and have simple nutritional requirements, allowing them to colonize areas of low nutrients for long periods of time (El-Tarabily & Sivasithamparam, 2006; Druvefors et al., 2004; Qing & Shiping, 2000). Likewise, yeasts, unlike other microorganisms such as bacteria, have greater social acceptance, since their use is associated with the production of food products such as bread, or beverages such as wine and beer. Several studies have been reported regarding the control of post-harvest diseases through the use of yeasts. For example, yeasts have been used to control phytopathogenic fungi in grapefruits, oranges, pears, apples, and others (Droby et al., 2002; Liu et al., 2010; Taqarort et al., 2008; Zhang et al., 2005). Regarding our research, the main attention was given to the so-called killer yeasts. The killer phenotype was first described in Saccharomyces cerevisiae and can be defined as the ability of some yeasts to secrete toxins or small glycoproteins that are lethal to other susceptible yeasts as well as to filamentous fungi or even bacteria. The interest in evaluating the degree and type of control of these yeasts was based on the fact that several of them showed high efficiency in the control of Penicillium and other pathogenic fungi that cause post-harvest infections in fruits such as lemons, oranges and papaya (Bajaj et al., 2013; de Lima et al., 2013; Platania et al., 2012). To carry out the research, we have been working on native yeasts with killer phenotypes isolation and characterization from different citrus plants from a Tucuman. 437 yeasts strains were isolated, of which 8.5% presents the killer phenotype. These were identified and used in in vitro tests to prove their inhibitory effect against P. digitatum, P. italicum and P. citri (Fig. 2). Those yeasts that showed the best antagonistic effects against phytopathogens were then tested in in vivo assays using lemons (Fig. 3) (Perez et al., 2016). This effect was evaluated at both room and cold temperatures since, in the case of lemons for export, the fruits are shipped in containers at low temperature, where they remain approximately 30-40 days in transit until they reach the markets of destination in Europe, Asia, or the recently-opened US market (Perez et al., 2017). In addition, these native yeasts, due to their adaptive advantages, showed better results than other commercial products based on yeasts and with similar characteristics. Moreover, the studied killer yeasts showed a consistent biocontrol activity against the green mold during a whole lemon harvest period (Perez et al., 2017). As a result of this investigation, yeast capable of controlling the development of fungal infections in lemons with efficiencies above 90% were found, providing us with a potential alternative for the development of a commercial biological product that is even compatible with the organic production of fruits. 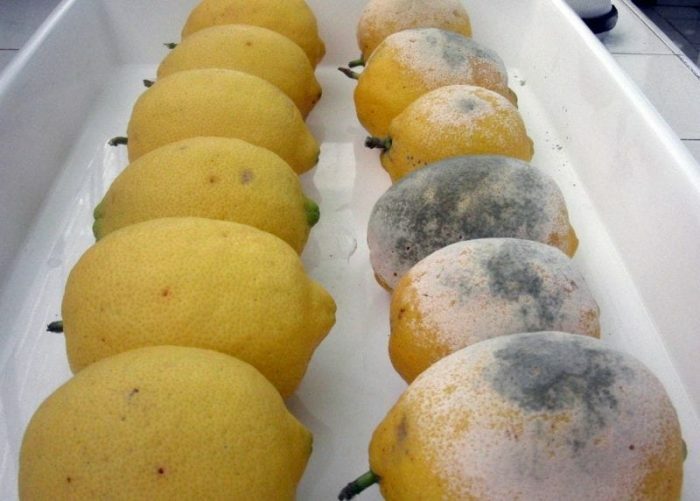 These findings are described in the article entitled Antagonistic yeasts for the biological control of Penicillium digitatum on lemons stored under export conditions, recently published in the journal Biological Control. This work was conducted by María Florencia Perez, Julia Perez Ibarreche, Ana Sofía Isas, and Julián Rafael Dib from the Consejo Nacional de Investigaciones Científicas y Técnicas, and Milena Sepulveda and Jacqueline Ramallo from the Laboratorio de Desarrollo e Investigación. These findings are also described in the article entitled, Native Killer Yeasts as Biocontrol Agents of Postharvest Fungal Diseases in Lemons, recently published in the journal Plos One. This work was conducted by María Florencia Perez, Luciana Contreras, Nydia Mercedes Garnica, María Eugenia Farías, and Julián Rafael Dib from the Consejo Nacional de Investigaciones Científicas y Técnicas, María Verónica Fernández-Zenoff from the Universidad Nacional de Tucumán, and Milena Sepulveda and Jacqueline Ramallo from the Laboratorio de Desarrollo e Investigación. Bajaj, B.K., Raina, S., Singh, S. (2013). Killer toxin from a novel killer yeast Pichia kudriavzevii RY55 with idiosyncratic antibacterial activity. J. Basic Microbiol., 53 (8): 645-656.
de Lima, J.R., Gonçalves, L.R.B., Brandão, L.R., Rosa, C.A., Viana, F.M.P. (2013). Isolation, identification and activity in vitro of killer yeasts against Colletotrichum gloeosporioides isolated from tropical fruits. J. Basic Microbiol., 53 (7): 590-599. Droby, S., Vinokur, V., Weiss, B., Cohen, L., Daus, A., Goldschmidt, E., Porat, R. (2002). Induction of resistance to Penicillium digitatum in grapefruit by the yeast biocontrol agent Candida oleophila. Phytopathology, 92: 393-399. Druvefors, U.Ä., Passoth, V., Schnürer, J. (2004). Nutrient effect on biocontrol of Penicillium roqueforti by Pichia anomala J121 in cereal grain. Appl Environ Microbiol., 71: 1865-1869. El-Tarabily, K.A., Sivasithamparam, K. (2006). Potential of yeasts as biocontrol agents of soil-borne fungal plant pathogens and as plant growth promoters. Mycoscience, 47(1): 25-35. Liu, X., Fang, W., Liu, L., Yu, T., Lou, B., Zheng, X. (2010). Biological control of postharvest sour rot of citrus by two antagonistic yeasts. Lett. Appl. Microbiol., 51: 30-35. Taqarort, N., Echairi, A., Chaussod, R., Nouaim, R., Boubaker, H., Benaoumar, A.A., Boudyach, E. (2008). Screening and identification of epiphytic yeasts with potential for biological control of green mold of citrus fruits. World J. Microbiol. Biotechnol., 24: 3031-3038. Palou, L., Smilanick, J.L., Droby, S. (2008). Alternatives to conventional fungicides for the control of citrus posthar-vest green and blue moulds. Stewart Postharvest Review, 4(2): 1-16. Perez, M.F., Ibarreche, J.P., Isas, A.S., Sepulveda, M., Ramallo, J., Dib, J.R. (2017). Antagonistic yeasts for the biological control of Penicillium digitatum on lemons stored under export conditions. Biological Control, 115: 135-140. Pitt, J.I., Hocking, A.D. (2009). Fungi and Food Spoilage. Springer, New York. Platania, C., Restuccia, C., Muccilli, S., Cirvilleri, G. (2012). Efficacy of killer yeasts in the biological control of Penicillium digitatum on Tarocco orange fruits (Citrus sinensis). Food Microbiol., 30 (1): 219-225. Qing, F., Shiping, T. (2000). Postharvest biological control of Rhizopus rot of nectarine fruits by Pichia membranefaciens. Plant Dis., 84(11): 1212-1216. Sánchez-Torres, P., Tuset J.J. (2011). Molecular insights into fungicide resistance in sensitive and resistant Penicillium digitatum strains infecting citrus. Postharvest Biol Technol., 59(2): 159-165. Tripathi, P., Dubey, N. (2004). Exploitation of natural products as an alternative strategy to control postharvest fungal rotting of fruit and vegetables. Postharvest Biol Technol., 32(3): 235-245. Tuset J.J. (1987). Podredumbres de Los Frutos Cı́tricos. 1st ed. Spain: Conselleria d’Agricultura i Pesca. Wilson, C.L., Wisniewski, M.E. (1989). Biological control of postharvest diseases of fruits and vegetables: an emerging technology. Annu. Rev. Phytopathol., 27: 425-441. Zhang, H.Y., Zheng, X.D., Xi, Y.F. (2005). 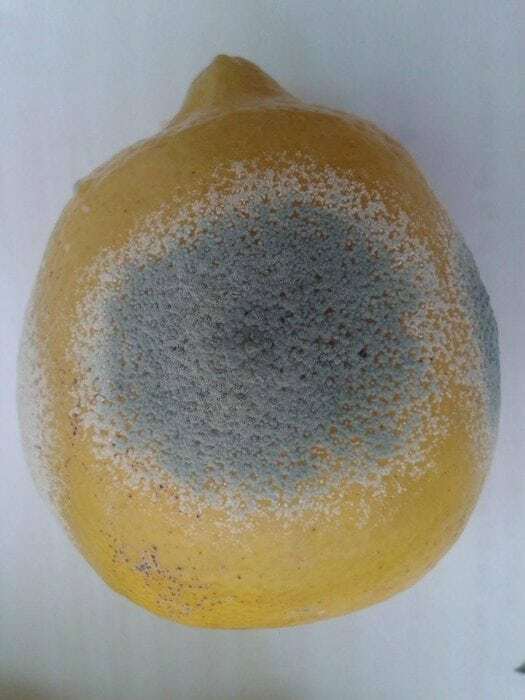 Biological control of postharvest blue mold of oranges by Cryptococcus laurentii (Kufferath) Skinner. BioControl, 50 (2): 331-342. Julian is an associate professor at the Universidad Nacional de Tucumán. Martina is a research scientist specializing in agricultural science. Previous Post« Previous Chemical-Biology Space Exploration… To Go Where No Drug Has Gone Before!